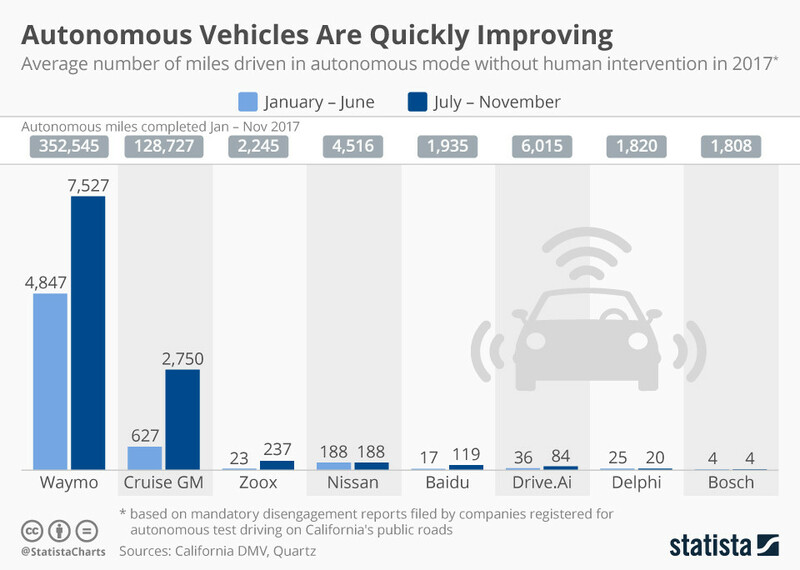 One of the biggest news stories that grabbed my attention was the announcement in early October that Cruise Automation, owned by General Motors, is partnering with Honda Motors to develop a purpose-built autonomous vehicle (AV). There is no reason to believe these purpose-built AVs will resemble the vehicles we currently see on the road. While current AV fleets are retrofitted mini-vans, SUVs, golf carts, all-terrain vehicles, and shuttles jammed with AV technologies, future vehicles will be specifically designed to meet the needs of a particular market segment. For the mobility-as-a-service segment of autonomous vehicles, we can make a few key assumptions that point to how this vehicle will likely look and be outfitted. Considering technology maturity and uncertain liability and culpability definitions, the first autonomous vehicles on the road in meaningful numbers will be owned by service providers operating a fleet in urban and suburban areas. Focusing on the transportation of people, not goods, we can assume that the vehicle will be shared, capable of seating four people, like a traditional taxi or up to six people in a shuttle form. Each vehicle will be highly utilized – around 70%, compared with traditional light passenger vehicles current 5% utilization rate. These vehicles will be electric, likely optimized for lower speeds, and will be fully, wirelessly connected. Connectivity will be cellular-based and used for over-the-air software updates, remote operations and real time in-cabin monitoring for safety and notifications. We know the vehicles will have wheels, will have headlights, will need to be maintained, cleaned and charged. The tyres will need to be replaced more often with higher utilization rates. Headlights won’t be necessary for the vehicle to see, which could allow for softer, more pleasant lights to be deployed. We don’t know if the vehicles will have exchangeable batteries or will be conventionally charged, but we can assume they will utilize company owned and/or maintained charging facilities. I am not expecting these vehicles to be integrated with municipal infrastructure from the start, but it makes sense that vehicles will be capable of integration. We would expect AVs to report on traffic conditions, speed of travel, number of stops and number of passengers. Over time, we will expect AVs to get data directly from the city, including road closures, signal changes and lane changes. I can picture two kinds of robo taxi services evolving: luxury and utilitarian. Each market segment would warrant a different vehicle form. A luxury transport service could offer lots of entertainment and networking options, and it’s interior would differ greatly from a public use, lower-cost robo-taxi. It’s possible a more luxurious AV ride service would have greater restrictions on sharing rides or not be shared at all. On the other hand, a more affordable, highly utilized AV would be built for sharing, would be more durable and less likely to have entertainment features. It is possible that AV service providers will focus on short trips in an urban city and move at lower speeds. Any purpose-built vehicle will have to aim at a specific market segment. At this point in market development, the market clearing price per ride or per mile driven is not known and will remain in flux for some time. Prices will be segmented by trip length, location and in-vehicle amenities. AV taxi services will launch into the market with a lot of competition from traditional vehicles, transportation network companies, public transit and micro options – scooters, bikes and good old-fashioned legwork for those willing to walk. GM’s Cruise and Honda are placing a $3 billion bet on the future of mobility-as-a-service. For AV purpose-built vehicles to be street legal, regulations in the US will have to change beyond simply allowing vehicles to be built without a steering wheel. Regulatory change will take time, and lobbying efforts could be an interesting indicator to what commercial interests are planning. Companies will be issuing petitions and making the case for their particular engineered solution. Shifts in bills such as AV Start and the guidelines coming from the US Department of Transportation could provide clues. It is worth watching legislation and regulations in other parts of the world. There are at least 47 cities around the world piloting AVs. Regulations in all these places will have to change to accommodate the building, manufacturing and operations of AV purpose-built vehicles. As AVs mature beyond SAE level 3 advanced driver-assisted systems and move fully into self-driving features, international guidelines are being updated to address potential remote operations, as well as licensing and permit changes. China, EU, New Zealand, Canada and many other countries are passing legislation and/or working on frameworks to move beyond allowing AV pilots in constrained areas. Such guidelines include rules around occupancy requirements, reporting requirements, electrification and considerations for land use and transit planning. Likewise, insurance rules will need to be revamped to accommodate the move from pilots to commercialization. This year could be a pivotal one for regulations and legislation. Designing, testing and manufacturing a new vehicle is expensive. CEOs don’t get to make many $3 billion bets in their tenure. Some companies will seek to minimize risks by partnering with others, which is one reason why I expect to see more mergers, collaborations, partnerships and consolidations in the autonomous vehicle industry. Expect some key areas to pick up as start-ups struggle to raise funds. At last check, there were something like 53 LiDar companies in California. I’m not sure the market can sustain 53 LiDar companies. At some point, the technology stack options will narrow and clear choices will be made. Similarly, the choice between creating a highly integrated, in-house solution will be weighed against the more traditional strategy of integrating multiple tier one suppliers. Expect to see more collaborations and consolidations in 2019. We’ve been hearing rumours about VW and Ford joining forces to develop AV solutions. Maybe that announcement will be forthcoming in the next few months.